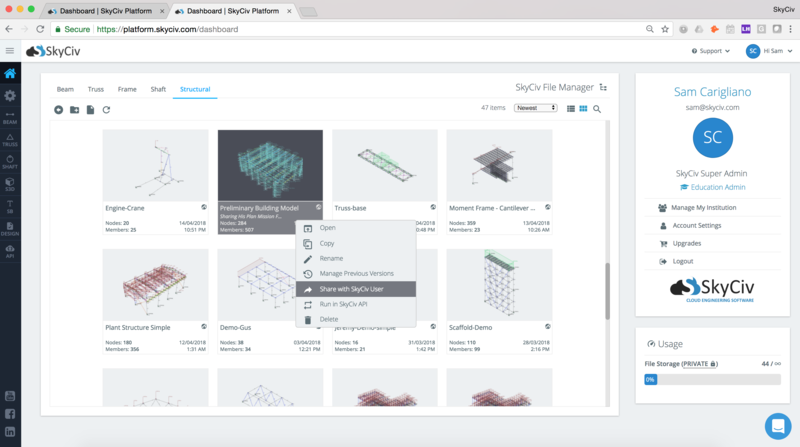 SkyCiv works 100% on the cloud, which means teams can share files and work together seamlessly on a single file. 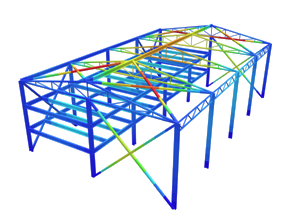 This functionality is now available on SkyCiv’s cloud structural analysis software, with all files updated in real time! 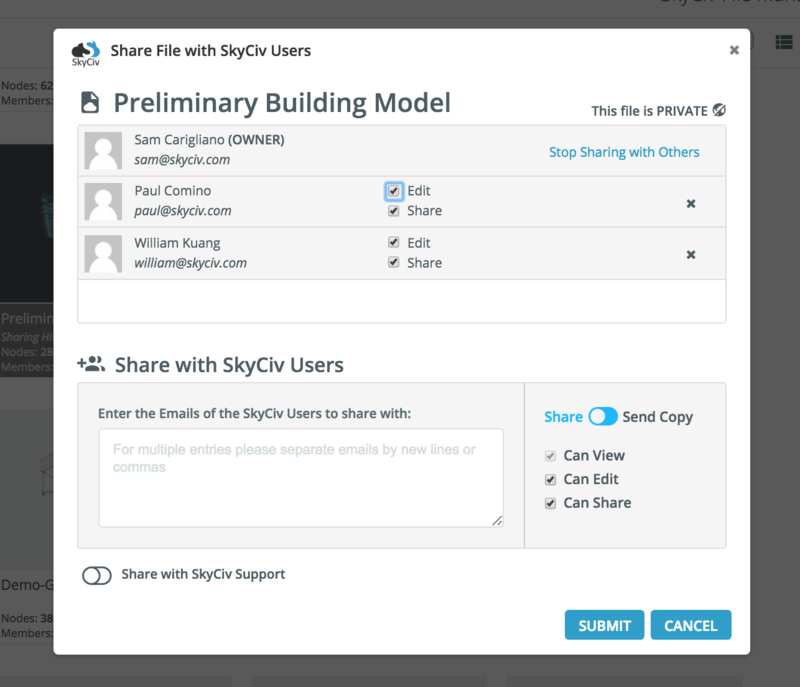 Sharing files can be useful This means that your models can be shared at anytime, with anyone who has a SkyCiv account. You and your team can collaborate on a single source of truth with confidence, knowing you’re accessing the most up to date file. What happens if two users edit the model at the same time? If a second engineer attempts to enter the file while one is already editing, the SkyCiv platform will detect this and notify the second user. They can either Take over or Leave access for the engineer currently working on the project.